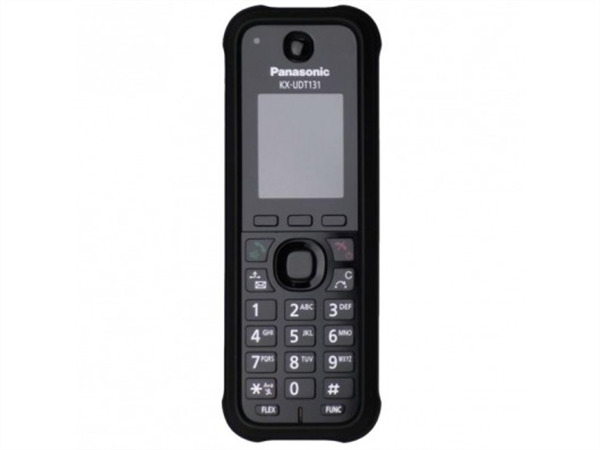 Similar to the KX-UDT121, the KX-UDT131 takes DECT to a whole other level with it's rugged technology. While containing an ingress protection rating that is compliant with IP65, the UDT131 also features a talk time limit of up to 13 hours per unit, as well as up to 200 hours of standby battery life. 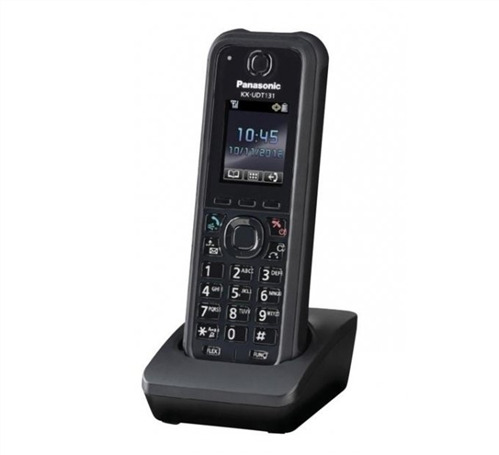 Utilizing up to 2 SIP accounts, Do Not Disturb features, anonymous calling, and also three-way phone conferencing, the UDT131 is also wall-mountable with charger, comes with a belt clip, and also is splash and dust resistant. *When LCD backlight is off, and Bluetooth not in use.